Donald J. Trump, the former star of NBC’s The Apprentice, is now the 45th president of the United States, having taken the oath of office Friday afternoon. Trump’s inauguration was a moment received with dread by many—in particular, the millions of Americans who overwhelmingly voted for his opponent Hillary Clinton and the thousands currently taking to the streets to protest the very idea Trump’s presidency. 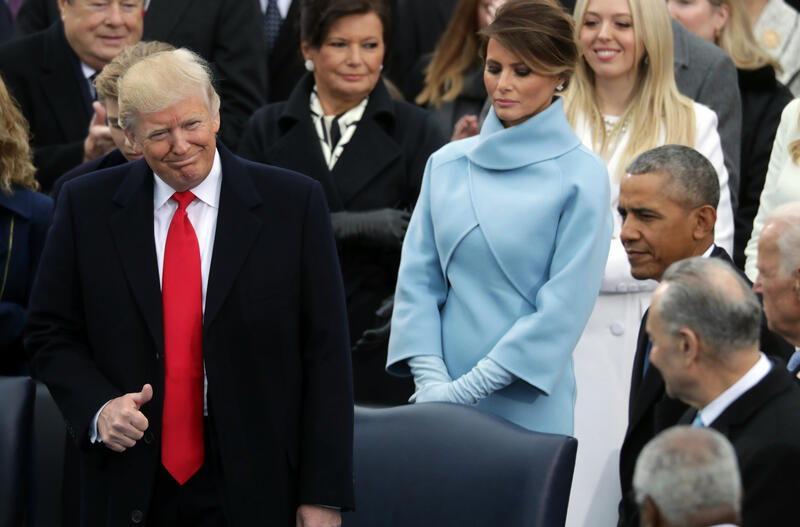 For his part, Trump met the moment with unusual calm and an inaugural address that, on the surface, seemed to call out to Americans to join him in making great again. In reality, however, the speech consisted of little more than claims of American exceptionalism, patriotism, and concern-trolling of some of the nation’s most vulnerable citizens. “Concern-trolling” isn’t a term that’s been around for long but a 2014 Washington Post article loosely defines it as an “insidious,” “condescending, insincere, manipulative” way of disagreeing with someone, especially on an online platform like Twitter or Facebook. Well, there’s perhaps no bigger Twitter troll that our newly-minted President Trump and, in his short political career, he’s taken concern-trolling to the national stage—including his inaugural address. Trump began his speech with the kind of lines about the greatness of American and everyday Americans that we’ve come to expect from this country&apos;s politicians. “Americans want great schools for their children, safe neighborhoods for their families and good jobs for themselves,” he said before taking a turn into the problematic. There might be some people within earshot of those words who heard them as genuine worry for vulnerable Americans, but anyone familiar with Trump’s politics, rhetoric, and the reality of the issues he mentioned knows better. President Trump is no more interested in ending poverty than he is in improving education, commerce, or justice—his cabinet picks illustrate that. He also doesn’t give a damn about “inner cities” or the “crime” that any criminologist will tell you has been on the decline in this country for the past three decades. What he is interested in, however, is pathologizing the nation’s most vulnerable—something that has always preceded policy to further victimize them. What a way to kick off a presidency.